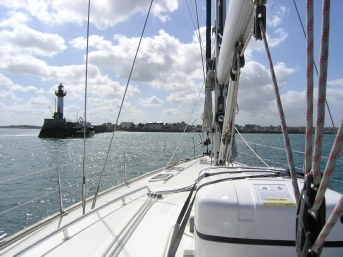 A wide full range of courses from the RYA Cruising Syllabus available as far away from the sea as you can get. designed and delivered by approved RYA instructors to people whose interests range from sail cruising , motor cruising, powerboats, sea kayaks, river boats and ribs to diving trips. History of RYA Cruising Training. After a career in the Royal Navy, Bill Anderson joined the RYA in 1972. As Training Manager he redesigned the Yachtmaster courses and championed the cause of voluntary education for amateurs. He has been a small boat sailor for over 50 years. His mantra was that we don’t run safety courses but aim that through knowledge all sailors will be inherently safer. We were fortunate to have met Bill whilst he was still the Training Manager. He was a major influence in developing the program to where it is today. Boat Handling is a Practical Skill - you need to get out on the water. We can help by giving you the knowledge which will help you enjoy your sailing even more. The courses have been delivered since 1992 based at Heart of England School. Originally part of the Adult Education Scheme they have evolved and adapted to change. The late Jim Race remained principal for the first 20 years, handing over the reins to Vic Stuthridge (one of his original pupils). Jim also founded the Heart of England Offshore Cruising Association where skills can be further developed and sailing enjoyed.